Or not. 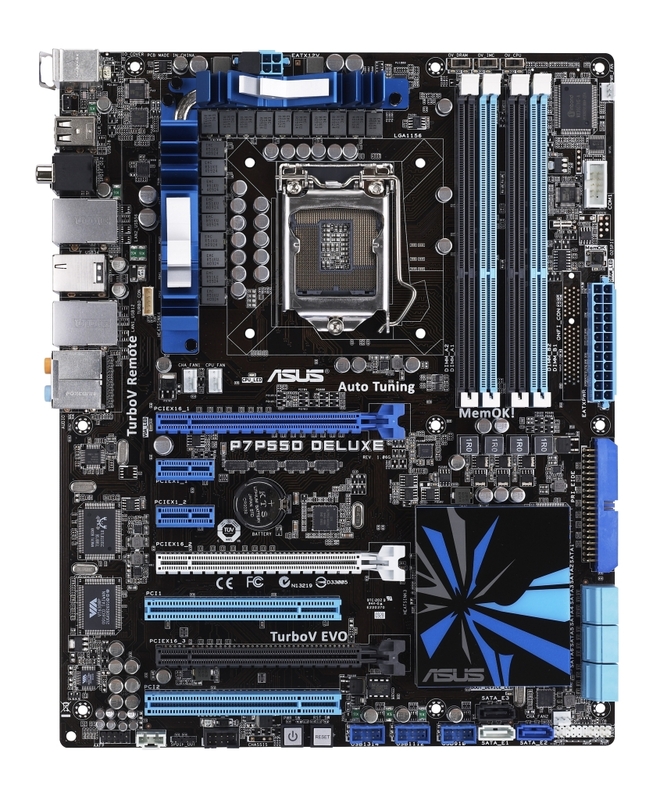 The purpose of this blog post is I thought I'd share some new shots Asus has sent through of its first P55 board to supplement James' preview of the Asus P7P55-Evo that went up a week or so ago. Supposedly these are of the final retail board. The main update is the Southbridge cooler, which seems massive, and that weird Turbo-V thing. Pics and more discussion below the break. 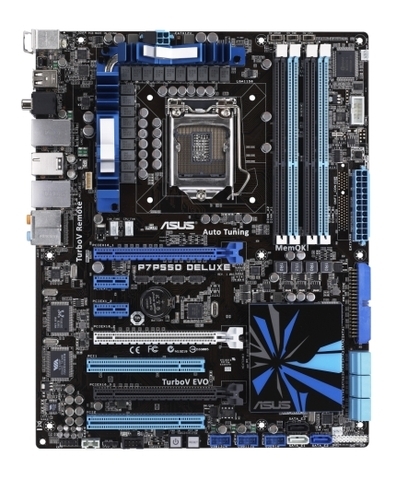 The CPU socket still looks pretty, surrounded as it is by those funky ridged heatsinks on the VRMs. 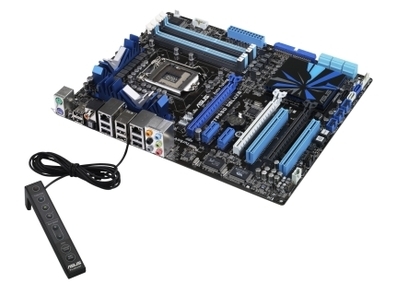 You'll notice that there's not much of a gap between the CPU socket and the first PCI-E graphics slot as Lynnfield has all the Northbridge components integrated - both a memory controller and a PCI-E controller are housed in the CPU. 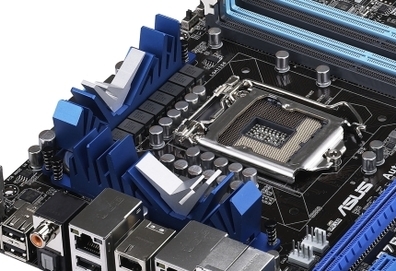 With no need for a Northbridge, the slots can be crammed right up to the CPU socket, which will probably allow for shorter trace-length and quicker signalling between CPU and graphics card. 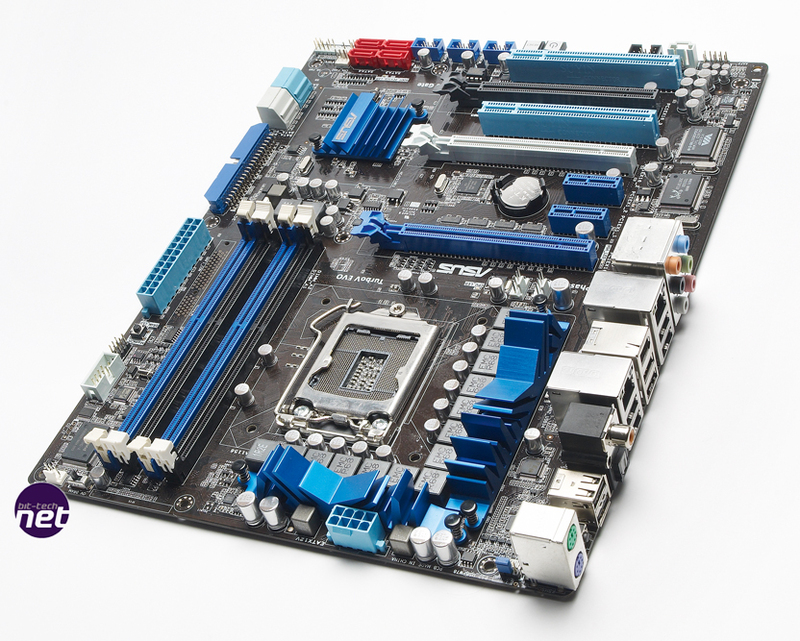 As promised, a look at the new Southbridge heatsink. Ain't it a beauty? No, I guess not really, it's just a plate of metal with some shattered shapes on, after all. The new thing is that it's big - much bigger than the one on the first preview sample we saw - so it looks like the chip underneath might run hot. 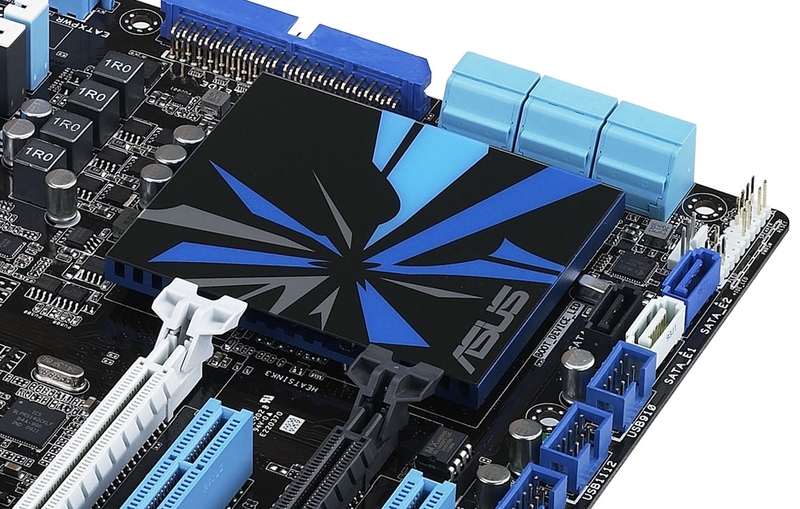 We've seen a Turbo V Turbo Key (Turbo V is the name for the enhanced VRMs that allow fine-increments of overvolting) motherboard before in Custom PC - it changed the power button of your PC into a (bit of a lame) overclocking button. From memory it raised the multiplier a notch but meant that you had to go to the Start menu if you wanted to do anything as silly as turn your PC off. It now seems that Asus is moving the technology to a separate module to stop the latter of my criticisms. 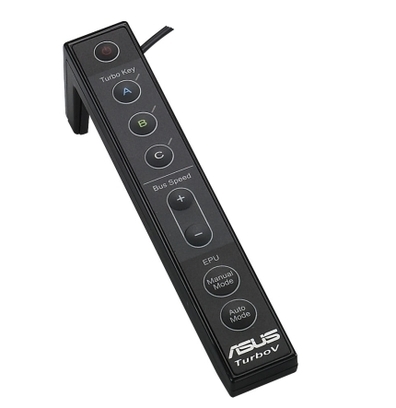 *Update - the remote uses both Turbo Key and Turno V technology, as it allows you to adjust your EPU settings. * It remains to be seen whether the overclock will of the calibre that really justifies the expense of developing such a device, let alone buying it. Roll on launch day! Right, that's your lot, I've run out of new images. Anyone reckon they'll use that Turbo V thing that looks like my telly's remote control? Anyone worried P55 looks like it'll be a hot wee beasty? Anyone just wondering where the next slice of cheesecake is going to come from? The comments thread below is happy to accept answers to any of the above.